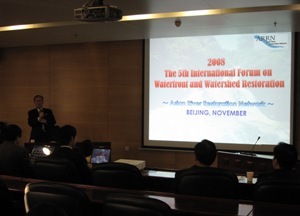 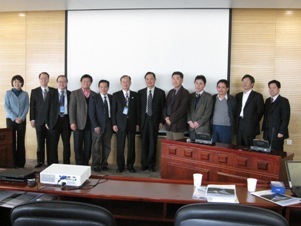 On November 30, 2007, the ARRN-sponsored 4th International Forum on Waterfront and Watershed Restoration was held with a number of people attended. 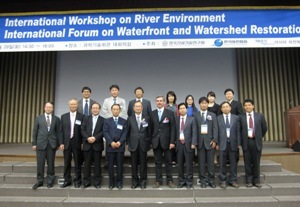 In the 4th Forum which focused on urban development and waterfront restoration, key note lecture was presented with the topic of restoration of Sumida River, followed by presentations introducing river restoration examples in Korea, China, Thailand and UK. 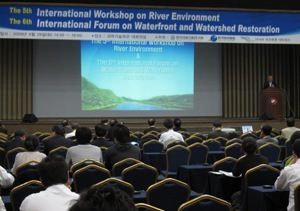 In the general discussion held later, various opinions were exchanged over the subject of Urban River Restoration for Sustainable Development.